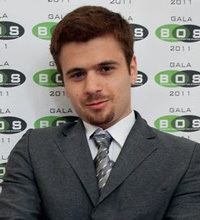 Razvan Paraschiv studied Management and Strategic Marketing at the Academy of Economic Studies in Bucharest and started to work for Nexus Electronics SRL in college as a part time job. Right now he is managing Zimplu at the same company and two more brands. Which CRM systems are free for charities and social enterprises? I'd like to migrate away from ACT (by Sage) and would like to transfer my info from ACT. Any good alternatives for a single person company? Hi George, Zimplu CRM offers free usage up to 4 users, and there is no limitation other than having a maximum of 3 co-workers that use Zimplu with you. Try it at www.zimplu.com. Which CRM system is the easiest to use but still really good? The team who made Zimplu CRM had only one goal: to make an easy to use Web CRM. The name itself says everything, Zimplu comes from Simplu (meaning simple in Romanian). Try Zimplu CRM at www.zimplu.com and see if it works for you. Founded in 2006, Nexus Electronics SRL's main activity consists of developing informatic systems to increase productivity and lower costs within companies.